Commonly hailed as the “crown jewel” of the western suburbs, the village of Hinsdale combines the quaint charm of a small town, with the unmistakable prestige of a luxury community. manicured landscapes provide fitting backdrops for the gorgeous homes. Tranquil conditions, a laidback community vibe, and high-ranking Elementary School District 181 and Hinsdale Central High School District 86 make Hinsdale an ideal place to raise a family. Residents enjoy access to a vibrant downtown, as well as variety of parks, playgrounds, and sports fields. Hinsdale homeowners can reach downtown Chicago via express train, just 25 minutes from the Hinsdale Metra station. The I-290, I-88, I-55, and I-294, meanwhile, are the main thoroughfares that smoothly connect to the Chicago Loop, the Chicago Midway International Airport, and the O’Hare International Airport. Since the start of the new millennium, Hinsdale has enjoyed an extensive wave of new construction and custom home development. Fresh housing options were added to the community’s already impressive collection of beautiful older homes. The cream of the crop among Hinsdale’s most desirable residences, prime estates in this village offer an average of 5,000 square feet of living space with a minimum of 5 bedrooms. A wide selection that ranges from contemporary, custom, and decades-old homes, Hinsdale single-family homes offer plenty of options for every type of home buyer. Ideal for empty-nesters and first-time homebuyers, Hinsdale condos and townhomes for sale provide the essential components of an independent residence at more affordable price ranges. 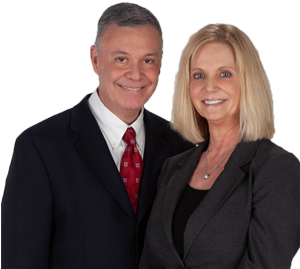 Get in touch with Dave and Kathy today! Looking for the best Hinsdale homes for sale? Call Dave at 630-854-7676 and Kathy at 630-915-8881 today, or email us at DaveR(at)Realtor(dotted)com and Kathy(at)Realtor(dotted)com.